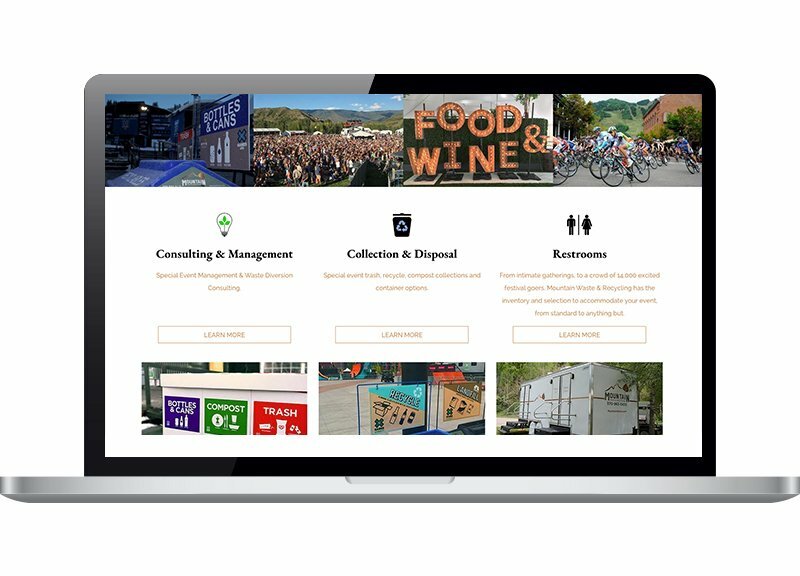 Mountain Waste & Recycling is a leader in the waste management and diversion industry offering environmentally sustainable solutions including trash, recycling, and compost collection services for residents, businesses, contractors working on construction sites, and special events throughout the Rocky Mountains. As they continue to expand, so too do their digital marketing needs and FootSteps Marketing is proud to work with this community-focused operation. We crafted a custom website that serves multiple mountain communities as a portal for paying bills and as a trusted resource for information on composting and recycling guidelines. Easy to navigate, mobile-friendly, and high functioning, the Mountain Waste & Recycling site is one of our most robust. Tailored widgets support their mission to offer numerous options for the population to divert as much waste as possible, encouraging environmentally-friendly options. 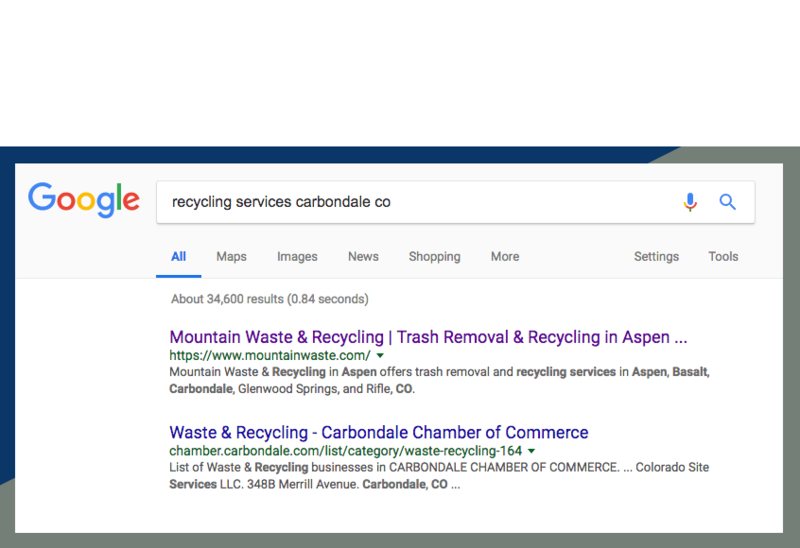 In order to help this locally owned and operated company compete with big names and well-known brands, we employed search marketing tactics that improved their site traffic and helped educate the communities they service. 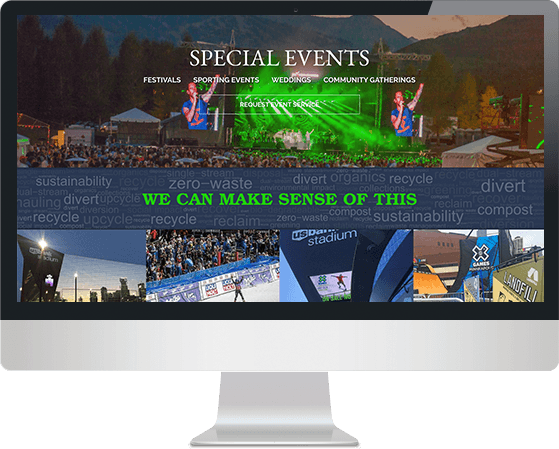 We targeted those looking online for recycling, large event support, household or business-based waste management support and had glowing results.